This post is about building wealth for our heart and not our bank account and/or stock portfolio. Trust me, you will feel great to support any movement with meaningful causes! I can attest to it with my 2-years experience with Hair For Hope movement (in July last year and this year). 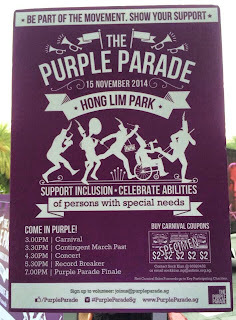 This coming Saturday (15th November 2014), Hong Lim Park will be painted with sea of purple and for a good cause! 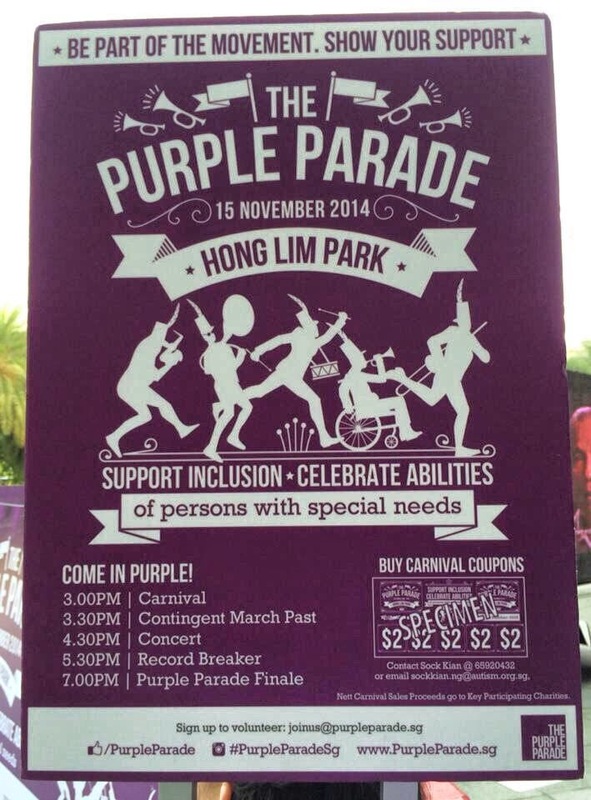 For the second year running, the Purple Parade will be conducted at Hong Lim Park this Saturday from 3pm to 7pm. I've not attended this event before and will be there this Saturday (in purple of course) to show my humble support. For more details about the Purple Parade event, check out their official site here.